A long ago websites were only designed for viewing on desktops and laptops till the explosion of Smartphones and tablets in this tech world. But as soon as world became smarter with the continuous increase and usage of mobiles, tablets, phablets, it highly created need for business owners to have their websites on the palms of their users i.e. website needed to be responsive. 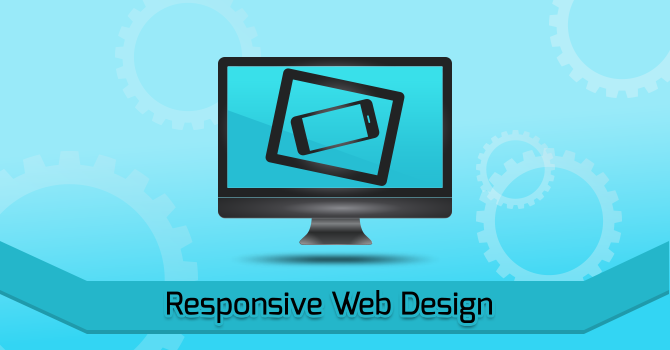 Now what is Responsive website? Whenever I visit any website on smartphone or Tablet, I always keep on thinking that, how some websites which looks big and wide on desktop, fits to perfection on mobile and tablets of different sizes. Then I came to know about something called as Responsive Web design. RWD is that technology which allows your website to fit into any size of devices with providing great user experience of your website to the users. Nowadays Smartphones have become so advanced that I rarely visit any website on my desktop or laptop. From shopping, booking tickets, ordering food, bill payments and what not you can do just by swiping fingers and tapping, all because the websites which we visit are responsively designed. Now if you are a website owner or developer and when anyone visits your website on different devices, are they having a consistently great experience of your website view? Check out ASAP because you cannot deny the advantages of having you website mobile friendly as this can really affect your business and your visitors. In order to help you create an optimal viewing experience for all of your users, today I have come up with tools for Responsive web design in my post. I have pulled together a list of some of the top resources related to the RWD. From templates to frameworks, grid systems and plugins to learn RWD—I’ve got it all for you. So go ahead, and check out these tools! This is another best front end framework to build responsive websites and apps. It also has different section for mobile app development. Not only you can code but also learn from Foundation that too quickly and easily. Designing starts with building for mobile first then moves towards larger devices. It is highly customizable and professional, millions of folks are using foundation for web development. They also have web forum of their own to help designers. Moving from frameworks towards templates, HTML5UP provides bunch of templates that are fully optimized for mobiles, tablets and also for desktop. You can choose and download these templates for free from their website. These templates are built on HTML5 and CSS3 and also you can customize them according to your data. Over 4 millions of people have used and downloaded their templates for web designing. If you got to have great templates for your website, you must definitely visit this website. Another great website to download templates for free is templated. All templates are built and designed by Cherry and AJ the powerheads of this website. You can download HTML and CSS templates same as that of HTML5up website. Also you can use them with any code or text editor to give great effects to your website. So friends these two template tools with definitely provide great design your website so go and grab it. Moving on further with jQuery plugins for your responsive website blueberry offers great image slider designed especially for websites to run on different devices. Developer of this website also shares his secret of naming Blueberry to this website in the footer section. While you need to keep certain things in mind while creating sliders such as all images should be of same size and dimensions, you can crop images by using code .crop and more you can find in their usage section. So go ahead and create wonderful slider for your website. Although text is often the most ignored part while designing responsive websites, you must need to pay attention to it. fittext plugin makes font-sizes flexible for your website. You can change the size of your fonts depending on what device your website will be running. You can use this plugin on your responsive layout to create sizeable headlines that will fit perfect to the size of parent element. aspect ratio to have great view of your videos. Now let’s move towards grid system. Grid system provides designer to arrange graphical elements like images, paragraphs and others in systematic manner. You can use this grid system in any design and style to make your website responsive. This grid is built on container system where you can arrange your content into 12 columns which will perfectly fit your website in mobile style. It supports all types of browsers. This is another great grid system which is flexible quick and easy way to make your website responsive. You get any number of columns to fit your content and it can scale to any width. What makes it more impressive is that in other grid system you have to arrange content according to grid size, but responsive grid system arranges its grids ratio according to your content. This is coolest feature I have seen in any grid system. Till now we have added templates, plugins, grids also we have learnt responsive design. But what about testing of your website. Yes this website allows you to test your website by adding url into it. You can see how your website will look into mobile or tab or phablets. This one is also testing tool for your website similar to mattkersley. You can use any one of the two to test your websites. The continuous use of smartphones and tablets to surf over the web is growing at a rapid pace, but sad to say that some of websites are not at all optimized for those devices. Last year we also have posted an infographics on why you should have responsive website to keep your things going on with changing technology. I hope the above list of resources will give you a great start in designing responsive websites. If you are well informed of some more tools, courses, grids, templates related to website designing and you think it will be worth to our designers and readers, then please let us know your suggestions in comment box below. bookmarked! !, I like yoour web site! How about bourbon and neat? I actually migrated from foundation. Less overhead. More control. Thanks for these great resources! Some of them already know them but I have also bookmarked lots of them! Thanks!